We live in an age of accountability. We hear it being discussed in relation to all aspects of our lives; however, nowhere more acutely than in government. Accountability simply means to be accountable, and to be accountable means to be able and expected to answer for or explain oneself. Unfortunately, the simplicity of accountability ends with its definition. Rather, it is a very complex concept in execution. This short essay examines one example involving the Inspectors General (IG) function within the Federal government and a recent piece of legislation passed by Congress addressing accountability. The intention is not to draw any conclusions but rather to encourage dialogue or at least promote thinking about government accountability — what it means and how best to achieve it. Congress, in 1978, officially established the Inspectors General system as an accountability mechanism over the Federal bureaucracy. States ultimately adopted this same system. However, more recently, that system of accountability has been viewed as being under attack. In 2016, Congress responded by passing Public Law 114-317 entitled Inspector General Empowerment Act of 2016. The genesis for at least section 5 of the Act was a letter written to Congress signed by 47 IGs which in part addressed the difficulty often encountered when seeking access to agency records and information needed to complete IG assignments. Section 6(a)(1) of the original IG Act of 1978 grants IGs access to any information or records they decide are needed to carry out their responsibilities. However, IGs have repeatedly encountered resistance when attempting to gain that access. A recent example of this occurred in 2015 within the Department of Justice (DOJ). In a November 2015 memorandum to DOJ management, the IG listed among the top eight management and performance challenges facing the department the need to promote “public confidence by ensuring ethical conduct throughout the department.” In addressing this challenge, the IG noted in the report that in carrying out IG responsibilities it encountered instances of delays or outright denials when requesting access to needed information and records of the department. The IG memo referred specifically to a July 2015 DOJ General Counsel (GC) opinion that supported such delays and denials. The GC opinion stated the provision granting access to all records in the IG Act of 1978 was superseded by other sections of the law protecting against disclosure of certain information and records for example those dealing with active criminal cases and counterintelligence investigations. This became the latest in a line of instances where the efforts of the IG community were thwarted by legal maneuvering within their respective agencies. Situations such as the one at DOJ prompted Congress to take up the cause that lead to the passage of the IG Empowerment Act. While containing other protections and clarifications, this essay focuses on section 5, which clarifies the access to information and records. In passing this law with section 5, Congress reasserted its intention that access to all information and records meant “all” and not some subset. The language in the new act specifically states the IG is “to have timely access to all records, reports, audits, reviews, documents, papers, recommendations or other materials available to the applicable establishment which relate to programs and operations” included within the areas of responsibility charged to the IG. The only exceptions stipulated in the new Act are those passed by Congress that specifically limit the IG’s access. The circumstances giving rise to Congress passing the IG Empowerment Act seem to support Behn’s description of the current state of accountability. Behn describes the current system as a set of overlapping, independent and competing mechanisms and notes Paul Light’s worry about the addition of increased numbers of cross-checkers, auditors, investigators and second-guessers advancing a compliance-based form of accountability. Behn’s concern centers on the development of a system focused on lawyers rather than on accountability to the citizens. Accountability may be easy to define and explain, but the application of the concept is far from simple. 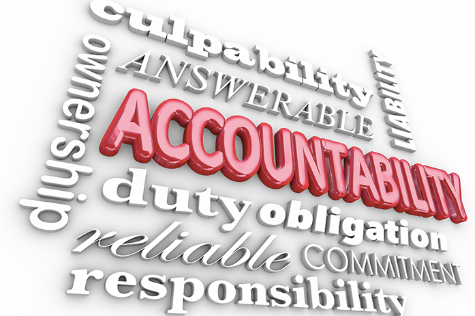 This essay addresses just one example of how complex the issue of accountability may become. It is more than likely we will witness many more situations at the Federal and state level raising similar concerns and demonstrating the challenge in managing accountability in a democratic society. Author: Dr. Gabrini will begin teaching accounting at Dalton State College, Fall 2017. He holds a Ph.D. in Public Administration from Florida State University, a master’s degree in taxation from the University of Central Florida, and an active C.P.A. license from the State of Florida. He held various professional positions over 25 years prior to entering academia. Contact email address [email protected].